Arrigo: "Reaching Our Full Potential as a City"
Last Thursday night the City Council’s Economic Development Subcommittee met to discuss my proposal to start crafting a long-term comprehensive plan for the City of Revere. While I am encouraged by some of the incremental progress we’ve made over the last three years, there is no doubt in my mind that the long-term city-wide comprehensive planning process I am proposing is a crucial next step we need to take as a community. After Thursday’s presentation, I’m left with one lingering question: Where’s the beef? Mayor Dan Rizzo and Economic Development Director John Festa promised to present the Economic Development Subcommittee with the comprehensive plan they have been working on. What we received was a vague presentation with half-sentence bullet points outlining the same old tired promises of hotels and commercial development that have yet to produce any tangible results. No detailed strategies were explained, no action items were presented and most importantly, no timelines were offered regarding the next steps the administration is planning to take. Mayor Rizzo mentioned on Thursday he met with Mayor Curtatone in Somerville to learn about the Assembly Row project. Mayor Joe is someone I respect and admire. I had the opportunity to work in his administration for over two years and during that time I learned first-hand how the “Commonwealth’s Best Run City” is managed. While I agree that it is very important for city leaders to understand what other cities are doing to improve their residents’ quality of life; it is discouraging that we need to rely on others to create a long-term vision for the City of Revere. I believe that the residents of the City of Revere are its best asset and its best consultants. They are best equipped to help create a long-term vision for the city along with a set of guiding principles and goals that will drive transparent policy making. While we, the municipal leaders of the city, are tasked with steering the city into the future; it is our residents who must be the engine driving the city toward its full potential. Mayor Rizzo’s apparent reluctance to actively engage the entire community in an honest, full and structured discussion about the long-term vision of the city is disappointing. The behind-closed-doors, piecemeal approach that was outlined at Thursday’s meeting has failed us for the last 40 years and it will continue to fail us over the next 40 years. In order for us to move forward we must move on from the casino debacle. Some people continue to claim that the casino project was not “Plan A” for the city. Well, the proof is in the pudding and it is now apparent that the casino was the administration’s only plan. The City of Revere conducted 14 casino-specific public meetings, spent countless City employee hours and hundreds of thousands, if not millions of dollars to help deliver a casino to Suffolk Downs. Simply put, you would have to be living under a rock to say that bringing a casino to Revere was not the City’s top priority. Despite these efforts, the Massachusetts Gaming Commission awarded the casino license to Wynn Resorts in Everett. If the casino drama has taught us anything, it is that we cannot afford to put all our eggs in one basket. With that said, our chase for the casino pot of gold should not prevent us from developing a sustainable, long-term vision for the city. Our next step must be to set up a citywide comprehensive planning process that will allow us to develop the long-term strategies and policies we need to improve the quality of life for all our residents. If we band together and craft a common vision, I know nothing will stop us from fulfilling the great potential that the City of Revere has.  Brian Arrigo is a Councillor At-Large in the City of Revere.